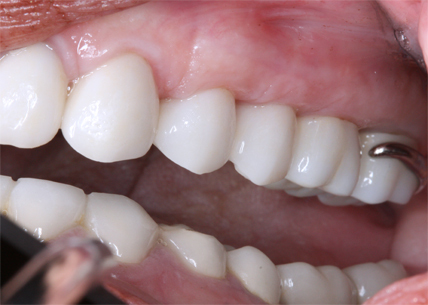 Wanting to improve the esthetics of her smile, this patient presented with generalized wear on all her teeth, a severely deep overbite with +100% vertical overlap in the anterior. 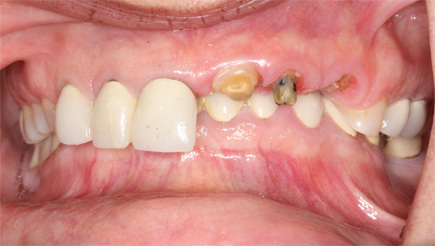 She also developed a diastema between her front teeth due to a heavy bite and fractured a bridge on #9-11 beyond repair. 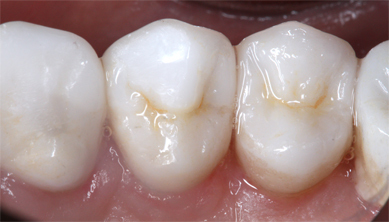 The occlusal plane was relatively in a good position, making treatment more predictable. 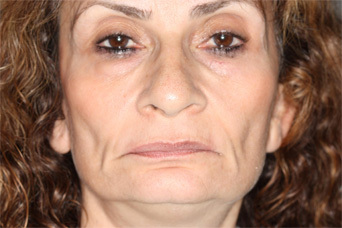 The patients main concern was achieving a plan for a cost effective, durable, esthetic treatment. -Correct her bite. 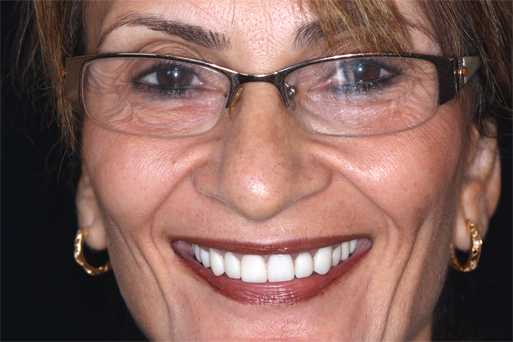 Restore the missing tooth structures and re-establish correct facial proportions. -Improve the esthetics of her smile. -Protect her occlusion to prevent future wear. -Provide a cost effective solution within her budget. 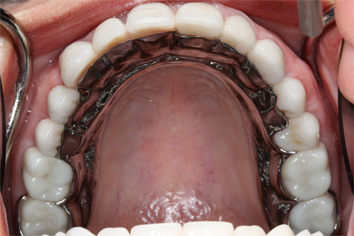 With a deep vertical overbite, heavy occlusion and bruxing habits, these unfavorable factors made treatment a challenge. We wanted to deliver a predictable result yet, she did not want to go through lengthy orthodontic intrusion and surgical implant placement was out of her budget. Given her lower teeth had a relatively stable occlusion, we decided to restore all her upper teeth for now, and reestablish the loss of facial height. A splint was used to evaluate a comfortable yet sufficient amount of opening. Later, she has the option of restoring her lower teeth. We decided to use zirconia on the posterior molars with facial porcelain, monolithic E-max on premolars , and layered E-max in the anterior. We choose not to replace the bridge with a longer span nor place implants, because we felt that her occlusion would put excessive pressure. Instead we decided to replace the missing teeth with a removable partial denture, and build-in a stable occlusion onto the metal framework while opening her bite. 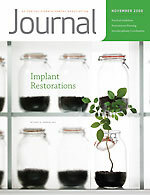 This is a durable, cost effective solution to restoring a patient’s bite as well as protecting her new restorations. 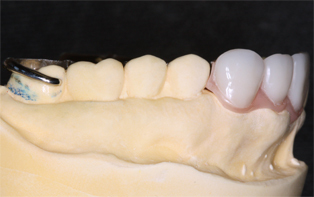 Having control of the restoration contours allowed us to design a rotational path partial with improved esthetics and no visible clasps.